Over a number of years, this correspondent has occasionally taken overseas business visitors on a night out in Manly. In the old days, the trip would consist of a trip on the Back of the Ferry – and a long-neck in a brown paper bag would be thrust in our guest/’s’ hand. Once at Manly, we’d commandeer a cab and do the run up to North Head, dodge bandicoots before going to the lookout, which gives one of the great panoramas of Sydney and the Harbour (even better at sun set). Depending on the personality of the client, we’d then head to either the Harbord Hilton for a very large seafood platter and schooners or Garfish for grilled fish and chardonnay. Every now and then, particularly if the client was a real pisshead – we’d end up at the Steyne and introduce them to punting in a pub. One night sticks in the memory, when a couple of us entertained a hefty bloke that hadn’t been outside Iowa – bar a honeymoon to Hawaii. He looked like he was enjoying himself and we were ripping schooners into him at a frantic pace. He started to struggle with the seafood platter – restricting himself only to the battered stuff – but smiled bravely. We then got in a punting frenzy – schooners still flying everywhere – when he suddenly sat bolt upright and said “I need to go home”. We piled him into a cab, wondered for a second if he was ok, and returned to our punting frenzy. He turned up to the office the next morning – almost on time – but was as green as a shamrock and said very little. I met him six months later in Iowa, and he confessed that he got back to the hotel and chundered his guts out. He hadn’t had a session like it for a decade and that it would be another 10 years before he did it again. He was very pleasant about it, but I entertained myself that evening in Des Moines. Whilst there is nothing wrong with the “Hilton” or “Garfish”, the itinerary I prefer now is a visit to Murray’s at Manly followed by a visit to the 4 Pines. Now, once Murray’s at Manly’s (@murraysbrewing)restaurant is up and running, we’ll alternate between dinner at each venue – but at the moment – once alighting the ferry (and possibly after a trip to the Heads) it is off the Murray’s for a few magnificent bevvies and then on the 4 Pines (@4PinesBeer)for a few more magnificent bevvies and din-dins. Cam & Rory, our inductees had proven their mettle in Melbourne, and were prepared for anything we could throw at them. There would be no repeat of the Iowan incident. 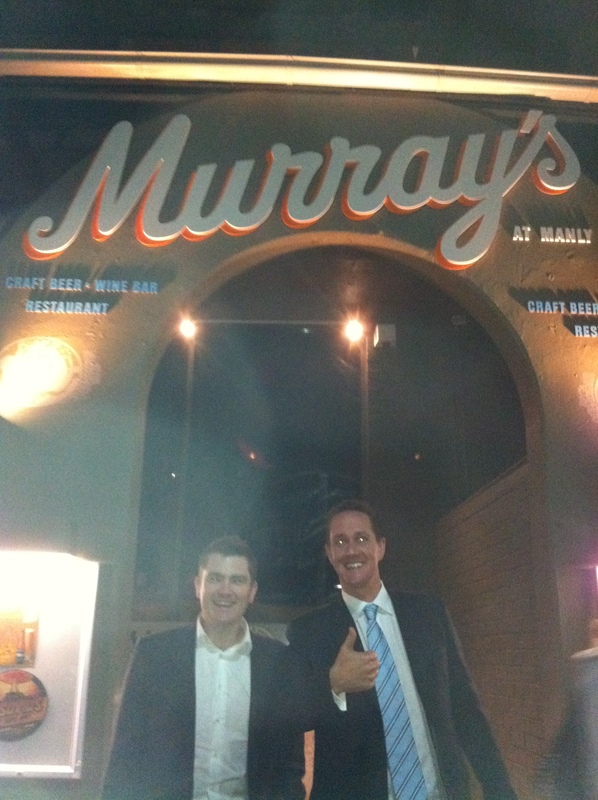 First stop was Murray’s at Manly, which has half the venue under renovation. No matter, the beer taps still work and the boys were blown away by what flowed from them. 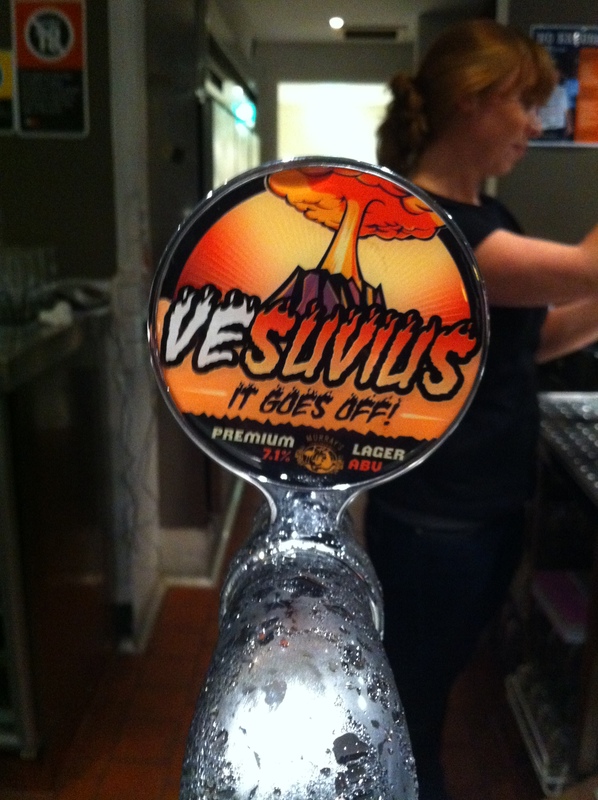 I was delighted to see a new brew available – and tried a Vesuvius Premium Lager. Prior to the arrival of Murray’s at Manly, we would have missed out on these releases – but no more. This is an awesome beer. 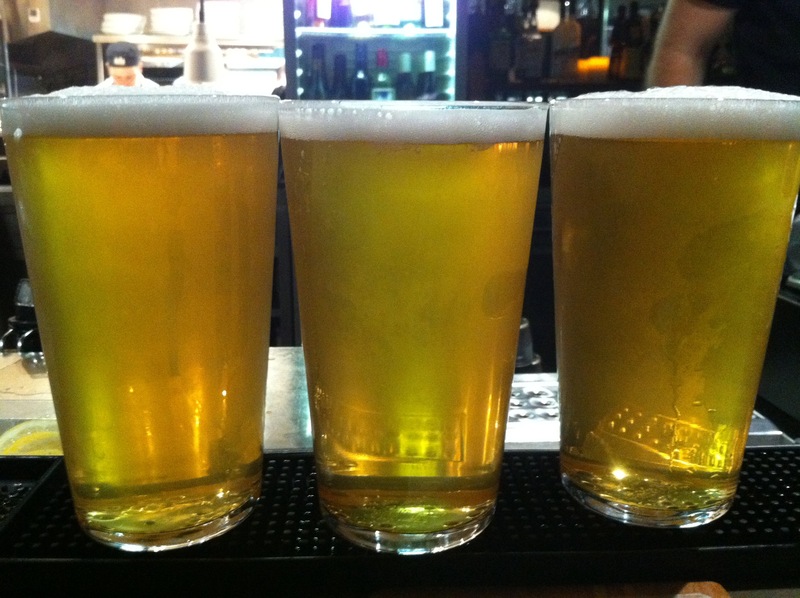 “Premium Lager” makes me think board-room, Crown or James Boags – but this is far different. It’s big on the hops, and it is simply bigger than a traditional Australian lager. 7.1%, great aromas, lip-smacking taste. 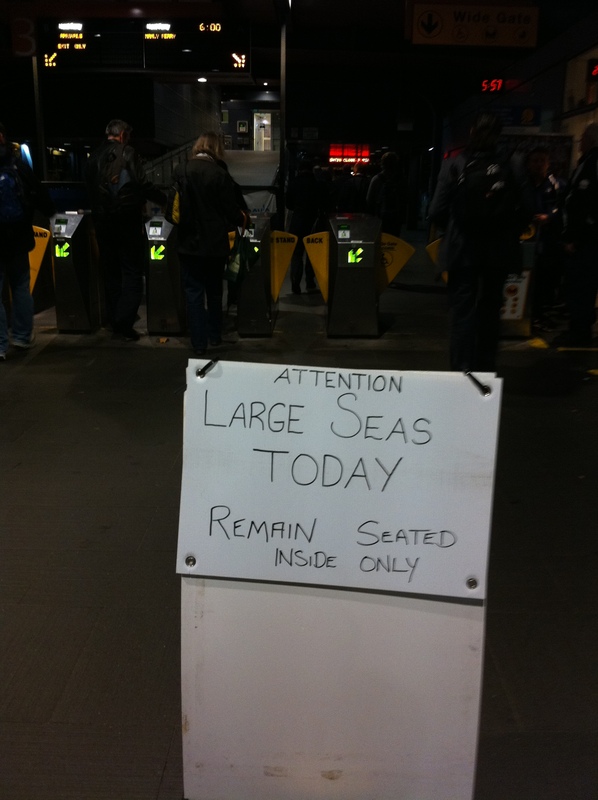 Thanks, Murray, for coming to Manly. Next stop – dinner – and we headed to the 4 Pines. Now, I’m a member of the 4 Pines Club and probably received an E-Mail notifying me, but I’d totally forgotten that it was the 4 Pines’ 3rd birthday. Lucky us – that made me eligible to win double my weight in beer – but I lucked out. That was the only disappointment. The Melbourne lads are good on the tooth and ordered one of everything, which were rapidly demolished. The lads loved the Kolsch and Rory gave his celtic seal of approval to the Stout, which had been launched only 3 nights before. 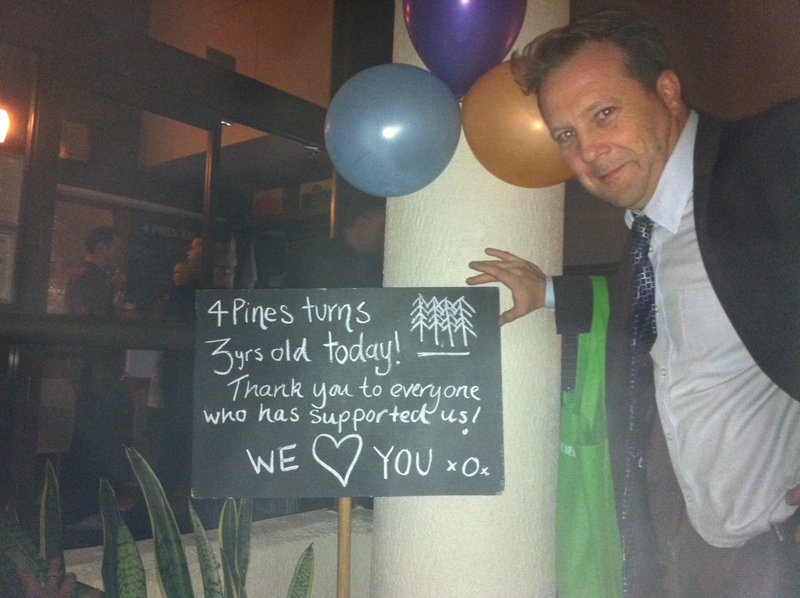 Happy birthday to 4 Pines, Andrew and all the crew. I should point out that there is nothing wrong with either the Harbord Hilton (@harbordhilton) or Garfish (@garfishseafood) – and there’ll be visits there in the future – with or without overseas guests. But gees it’s good to have two beer restaurants in Manly. Hilarious Pat – love this post…. 4 Pines is the only way to fly. Busy also sourcing a Victorian purveyor of Murrays Whale Ale. Nearly pinched the tap head….